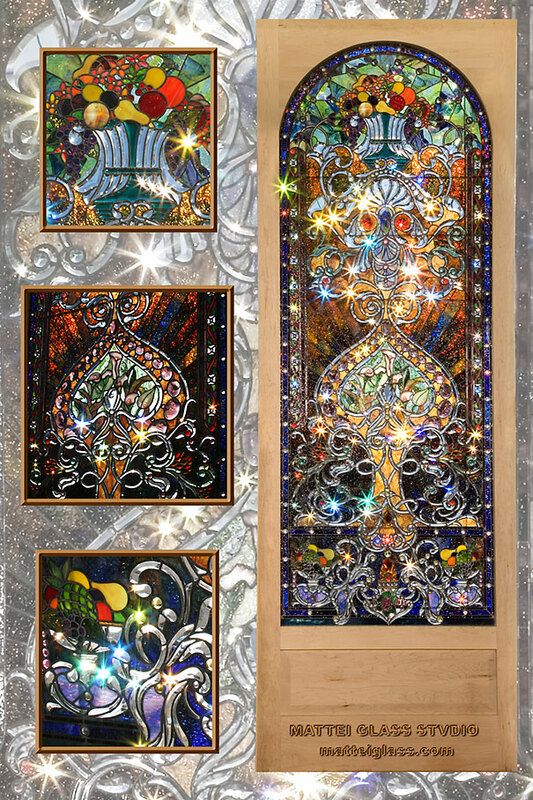 This landing window incorporates almost 1,000 custom bevels, both dalle glass and clear. The background glass is a custom, 5 color mix that color phases from a deep cobalt at the bottom of the panel to a light, golden green at the top. The design features 3 fruit bowls and a field of hand painted calla lilies. Framed, the window is 11 feet high.